We recently had the opportunity to work on a house built around 1900. This older home in Staunton had no foundation, which was not uncommon for the era. Unfortunately, the building codes of the early 20th century did not hold up very well. Over more than 100 years, the house needed modern repairs that will stand the test of time. We were contracted as the Central Virginia foundation experts to repair this house with long lasting results. 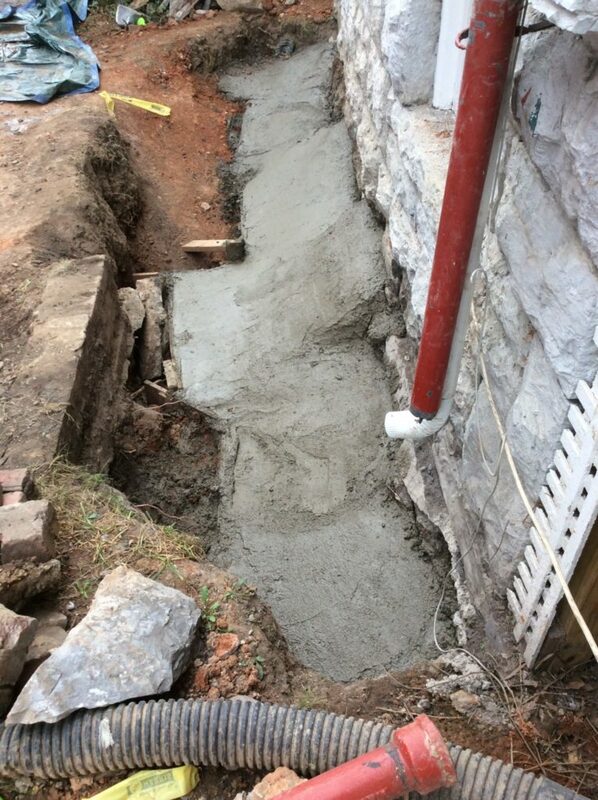 Water is often the culprit when it comes to foundation problems, and this property is no exception. Red and white downspout pipes had been dumping water on the ground for a number of years. The mismanaged water, combined with the lack of foundation, led to big problems for the homeowner. 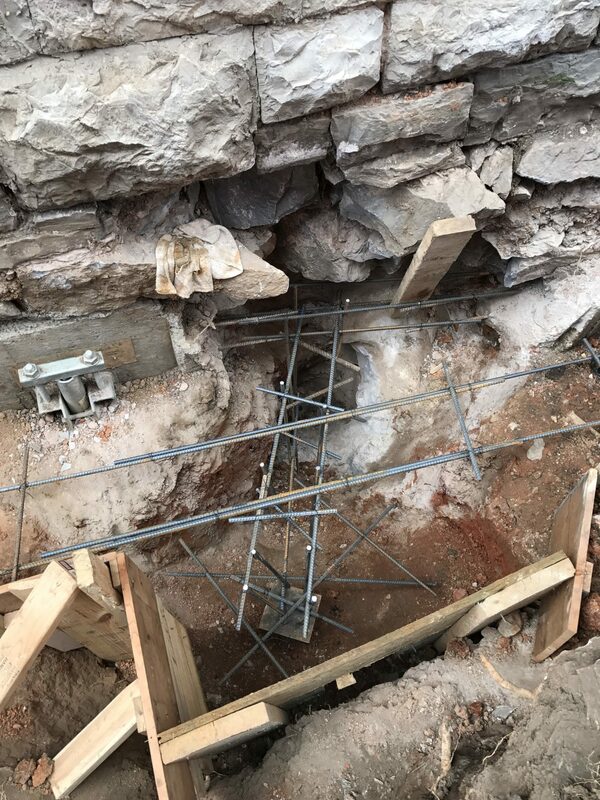 We put helical piers in, digging below the base of the home in four foot sections and working our way around the house. Reynolds Contracting is the AB Chance Helical Pier Certified Dealer for Central Virginia, so we were the perfect contractor for this project. On this job, we were able to feature our new drive motor for the helical installation! We also poured four concrete walls inside the basement and installed tie rods to hold the walls in place from the outside. Additionally, we installed rebar and poured footings for the foundation. 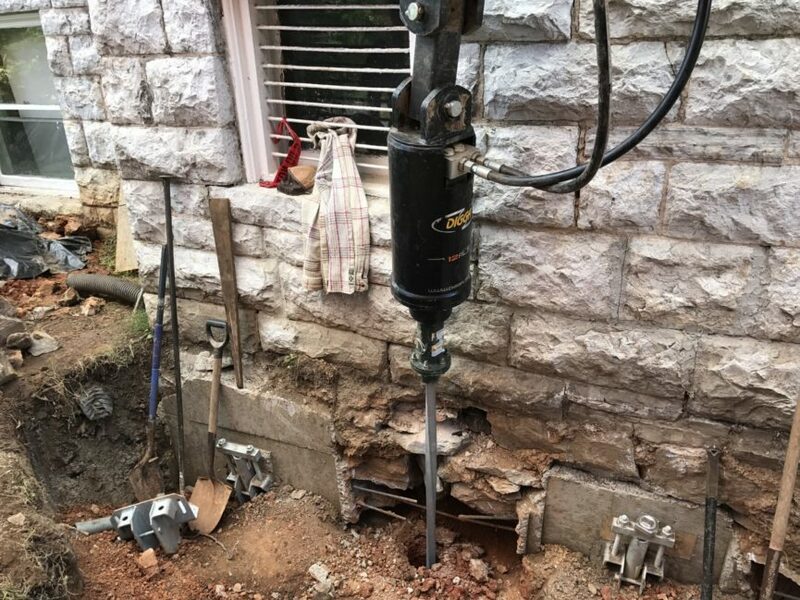 Once the helical piers were installed and the new foundation had been poured, we worked to make sure water did not cause any other problems to this house in the next 100 years. We added proper downspout pipes to catch and effectively handle water from the gutters. 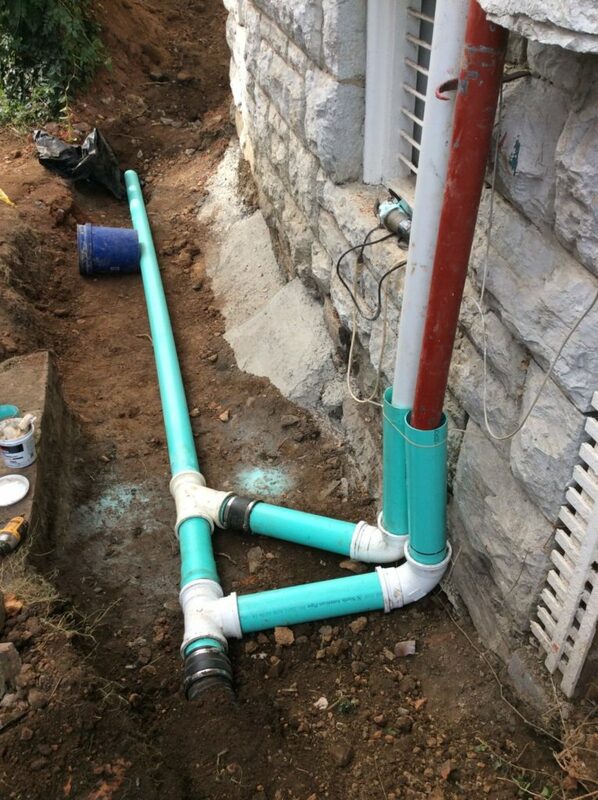 Whether your home is 100 years old or new construction, helical piers and proper water management can solve many problems around your property. Call Reynolds Contracting at 434-293-6724, the Central Virginia foundation experts for the best installation using top quality products from AB Chance.